The real-life Iron Man has agreed to help Donald Trump. Elon Musk, CEO of Tesla and SpaceX joined the president-elect’s business council on Wednesday, NBC News reported. Two other CEOs, Travis Kalanick of Uber and Indra Nooyi of Pepsi have also joined the council. Musk, who was critical of Trump during the presidential race, was seen at the president-elect's private meeting with tech titans on Wednesday. 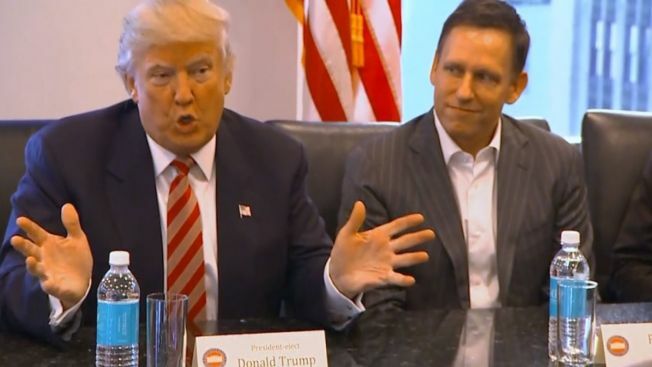 Trump’s Strategic and Policy Forum includes CEOs of some of the country’s largest companies, such as Walt Disney, General Electric, JP Morgan Chase and Wal-Mart. Its purpose is to advise the president-elect on how to create news jobs, according to a press release from Trump’s transition team.